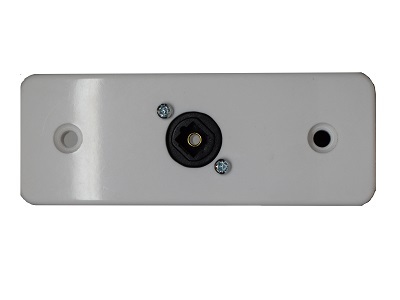 This is a compact optical audio plate ideal for use with modern day home cinema installations for audio return or send signals to home cinema receivers and soundbars. The plate is on a MK architrave plate with a through type coupler on the back for easy connection of a standard toslink digital audio cable. Optical Audio plates are a great way of tidying up the connection between the AV receiver and other auxiliary devices when permanently installed.